Who knew? 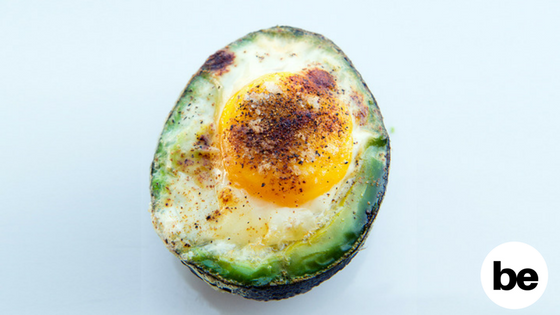 Baking your eggs right inside of an avocado would be healthy breakfast choice to start your day off right! Fact: Avocado are not vegetables, they are fruits. And they are filled with heart-healthy good fats. However, eggs are known for their high-quality protein among a variety of different minerals and vitamins. Plus, they are budget-friendly. 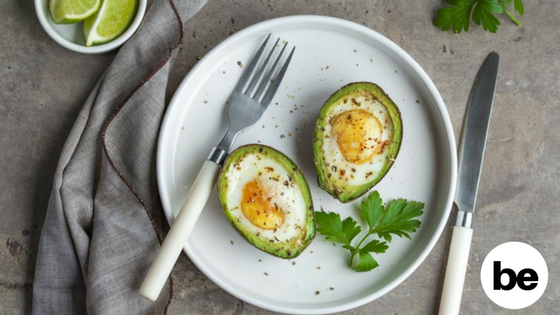 Putting both eggs and avocados together ends up becoming my favourite choice for breakfast. Not only are they jammed with everything needed for a healthy breakfast meal… They are incredibly easy to prepare. So start your mornings right by tossing out that processed breakfast sandwich or that sugary cereal and you will start to notice a change in energy and you’ll evenutally remove the crave for all those sugary snacks through-out your day. Lightly oil a baking tray or coat it with a nonstick spray. Using a spoon, scoop out some avocado flesh as needed, creating a small dip in the center of the avocado halve. Crack 1 egg, and gently pour it into the dip created, keeping the yolk intact. Repeat that step with the remaining eggs. Sprinkle with salt & pepper, to season or taste. Place them into the oven and bake for about 15-20 minutes or when the egg whites have set and yolks are medium and runny. Garnished them with chives (optional). Serve immediately. Copyright 2018. All Rights Reserved. Basic + Extra © | Website Designed by Mory & Co.